You’re upset because our menu prices have gone up? I’m sorry. We only did that to discourage people like you from coming back. 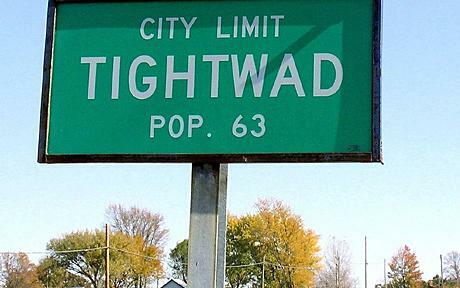 If you’re upset about menu prices going up, chances are, you’re a tightwad. Maybe you should stick to fast food. These are the same people who will throw you a hugh compliment and think that is part of the tip. Always Greg. “This was the best service ever, heres $1.67 tip on a $20 dollar tab” -Pshh. food costs, I go to the grocery store every week and I know how much it costs, then you have the time and energy to prepare it cook it ( electric bill anyone?) I think for hte most part of resturants I have been at the prices are very reasonable.